Proudly sponsored by Homestead Comfort the 33rd annual New England Regional Chili Cook Off is May 5, 2018 at Sonny’s Place in beautiful downtown Somers, CT from 11-4:30 p.m.!!! All proceeds benefit the Somers Fire Department an the great work that they do in our community. 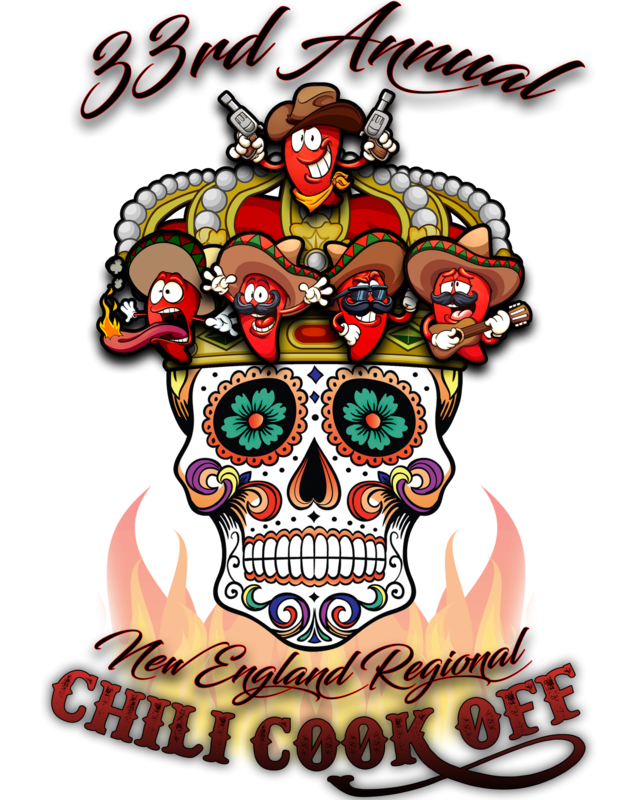 The 33rd New England Regional Chili Cook Off is May 5, 2018 in beautiful downtown Somers, CT at Sonny’s Place 349 Main St. from 11-4:30. Admission for the public is only $8 and two canned goods. Proudly sponsored by Homestead Comfort the International Chili Society sanctioned New England Regional Chili Cook Off is the biggest and best International Chili Society sanctioned chili cook off in New England and beyond. If you’d like to cook chili with the ICS please click the ICS logo and search for Connecticut. Please contact us at madmike@chilict.com if you’d like to cook or participate in any way. NO animals or people were harmed in the creation of this website. 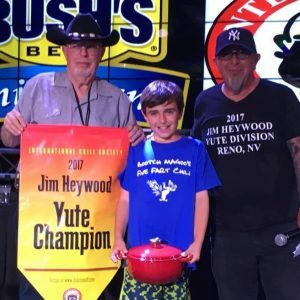 The Jim Heywood Yute division winner at the World Championships! The 33rd Annual New England Regional Chili Cook Off is May 5, 2018!